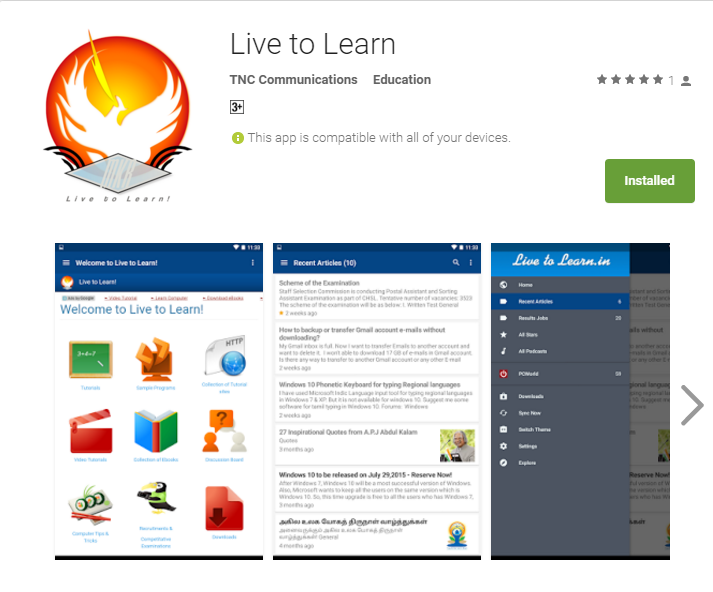 Launched Live to Learn Android App | Live to Learn! RSS reader inbuilt - you can add any blog or news, magazine website to this app to read & follow updates. Thanks to TNC Communications for sponsoring app hosting.